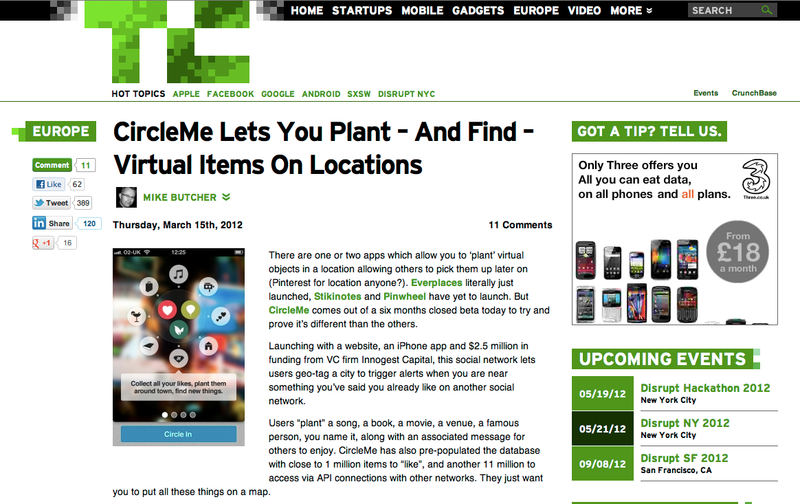 Media coverage round-up of the CircleMe launch and iPhone app! 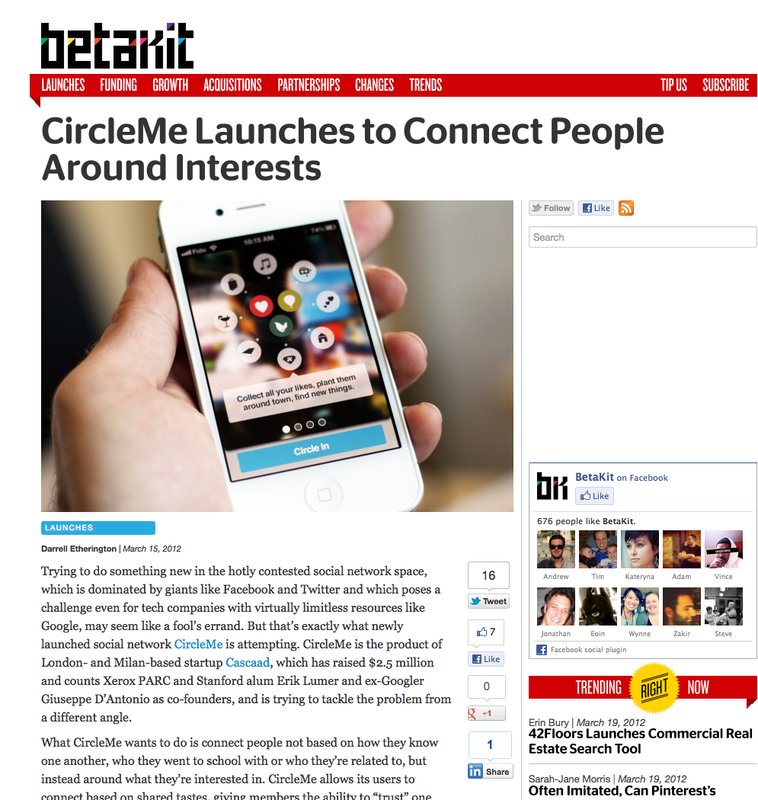 As you will know, just a week ago, CircleMe went from closed to open beta and we released an iPhone app! We are happy to say that we’ve got great reviews from the press, and what is most important for us: good reviews from our users. Why did we launch publicly? 6 months after starting our private beta, we reached a point where we thought that CircleMe was a great product and ready to be enjoyed by all users (as opposed to the closed beta users!). Therefore, we opened the gates to new users! However, this does not mean that we will stop innovating and launching cool stuff 🙂 We’ll continue working hard (or even harder!) 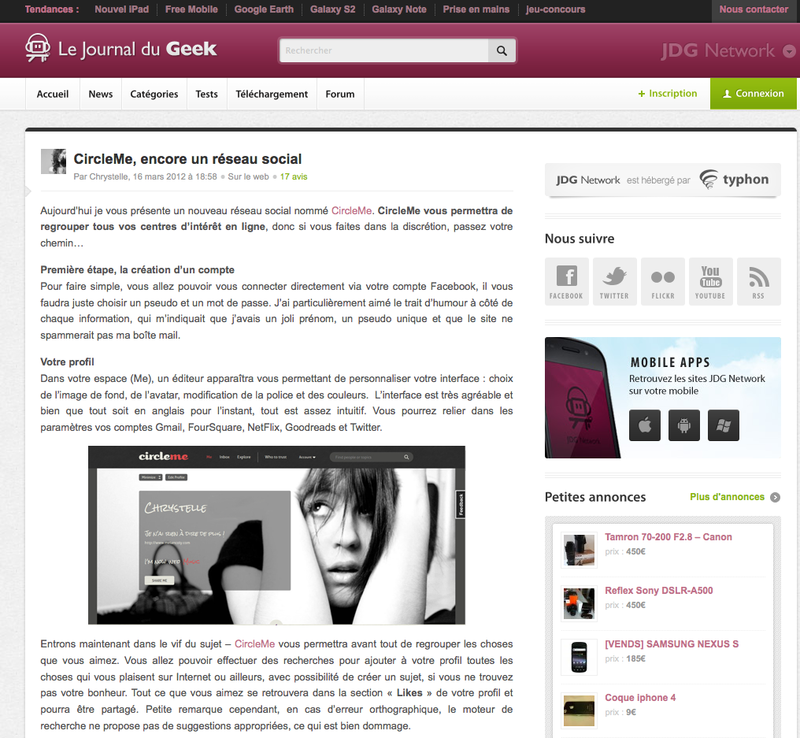 and make CircleMe more fun, social and innovative. TheNextWeb wrote a very detailed piece about us, great! Thanks a lot Nancy! We appeared on one of the leading tech news sites in the world! Thanks a lot Mike Butcher for this piece! 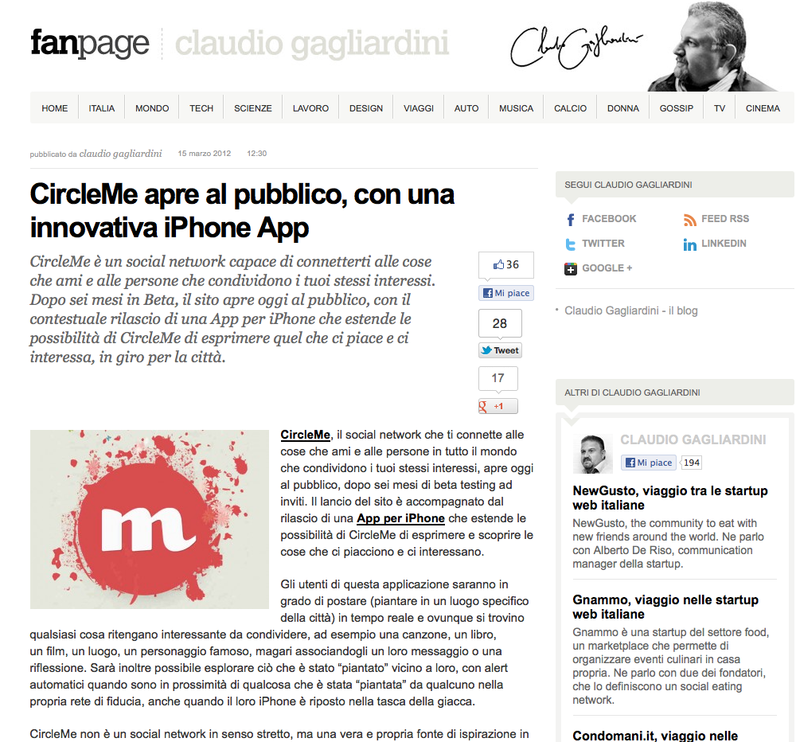 Wired Italy writes about the CircleMe Launch.Grazie Mille Silvio Guilza for that detailed piece! 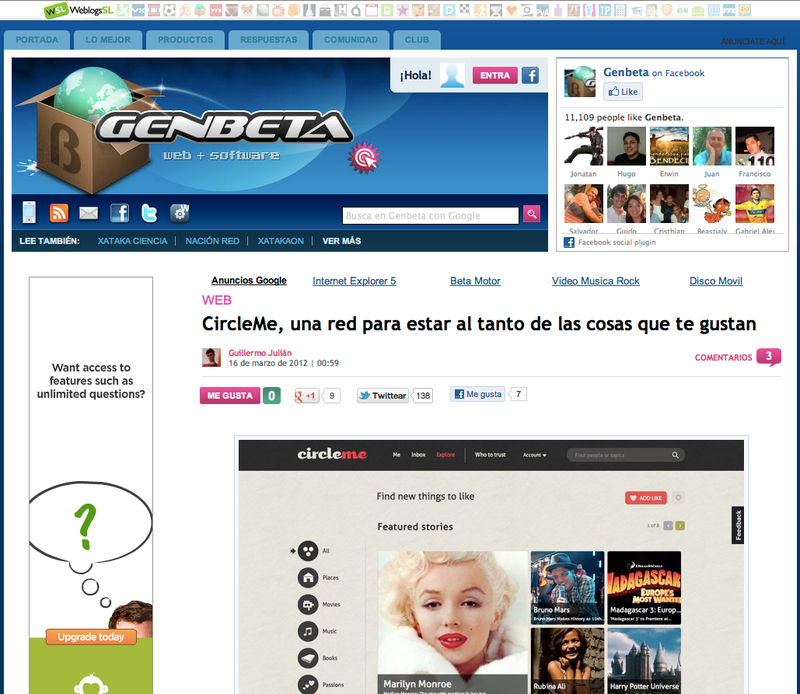 We made it to Genbeta, ¡muchas gracias Guillermo Julian for writing that piece! 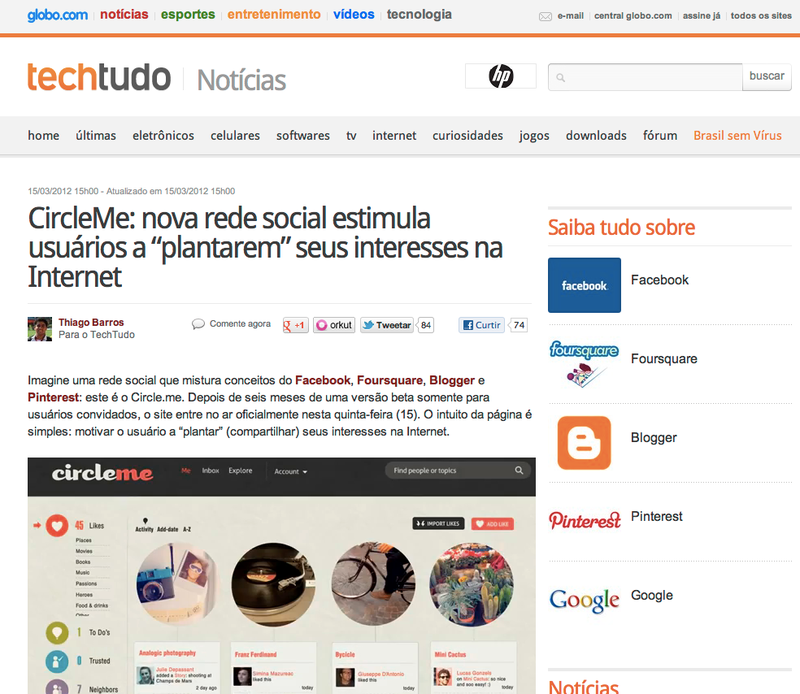 We appeared on Brazilian’s top tech site TechTudo, part of the Globo.com group. Muito obrigado Thiago Barros! 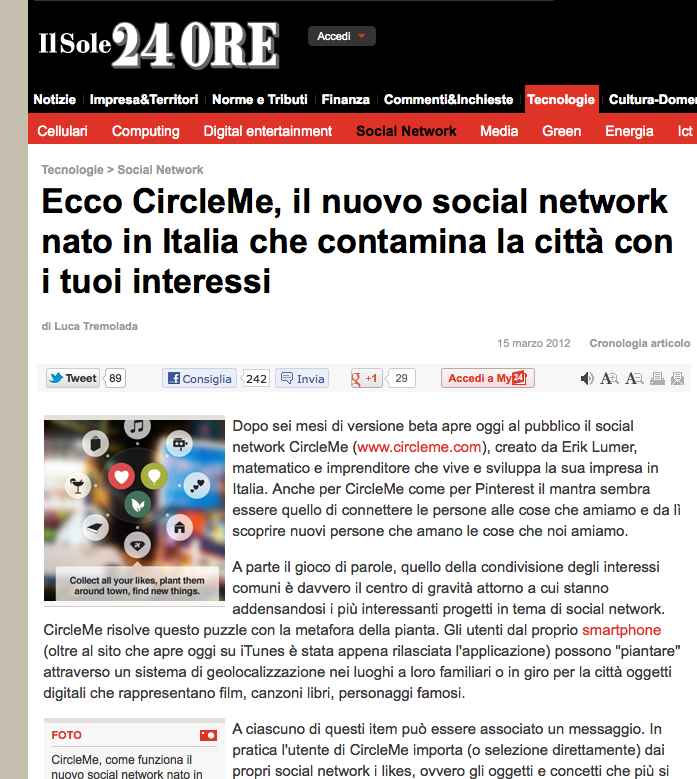 The appearance on diario24ore was one of the most talked about in the CircleMe’s HQ 🙂 Grazie mille Luca Tremolada! BetaKit wrote about our launch and shared some great constructive feedback. Thanks Darrell! 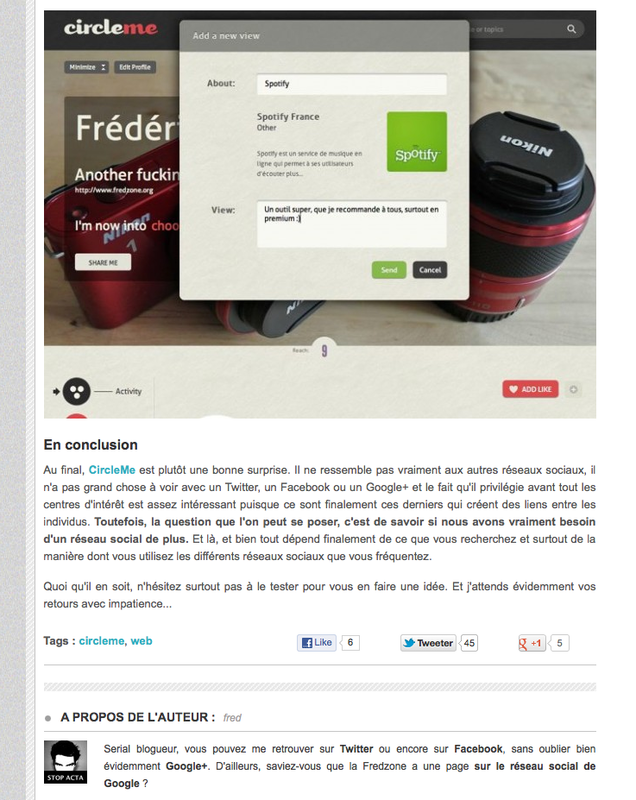 Fred wrote a very detailed article about us and that made us happy! Great job Fred’s doing with Fredzone.org! It’s all about Poland this year (the Euro 2012! ), and we’re really happy to be covered in Poland’s best tech site 🙂 Thanks a lot Kamil Mizera! 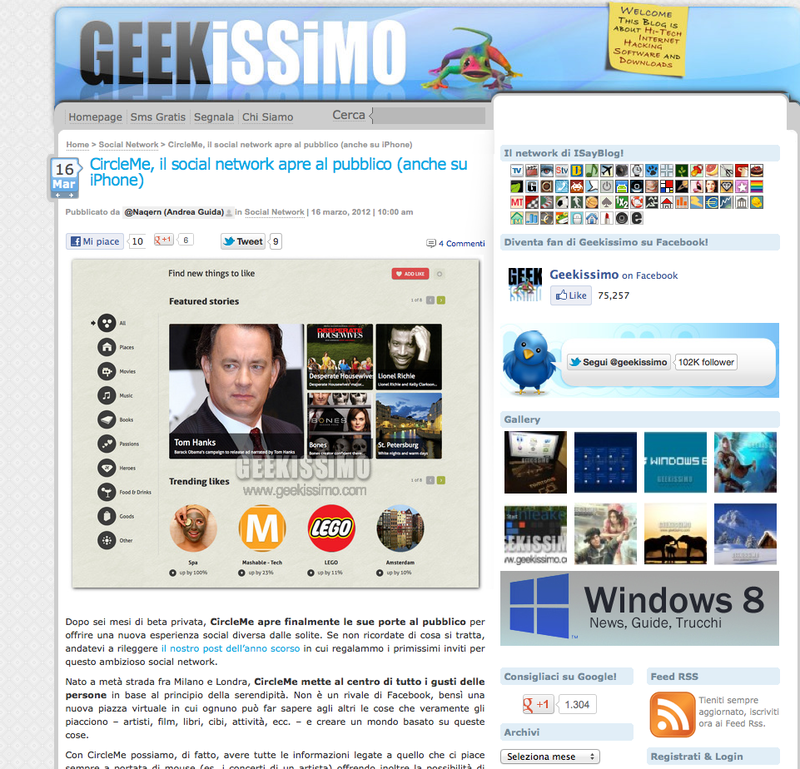 We appeared on Italian site Geekissimo 🙂 Grazie Mille Andrea Guida! We hope your looks were more like Lionel Richie than Tom Hank’s! 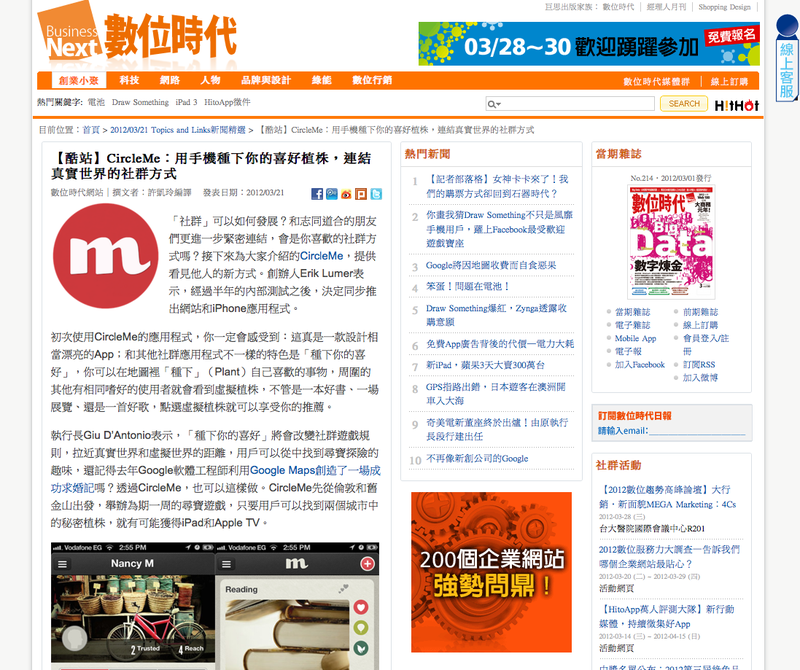 We even appeared in a Taiwanese site! Thanks a lot to the guys at Bnext! 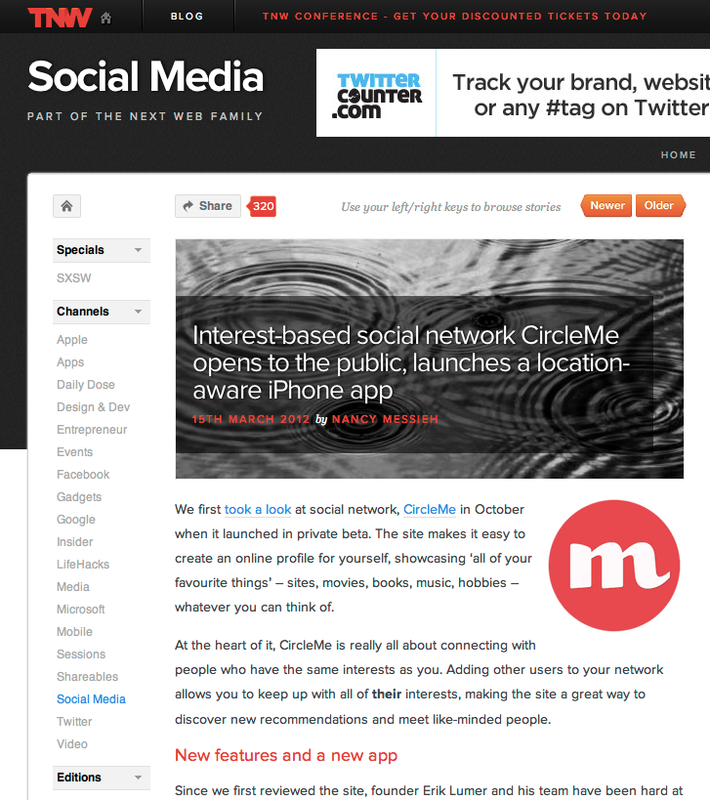 ← CircleMe needs your vote!